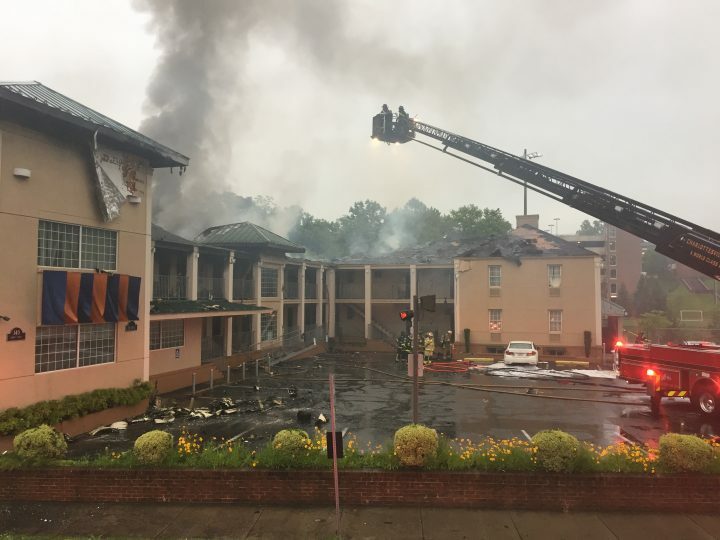 Charlottesville City Firefighters responded to reports of a commercial structure fire Thursday afternoon at Excel Inn and Suites on Emmet Street. 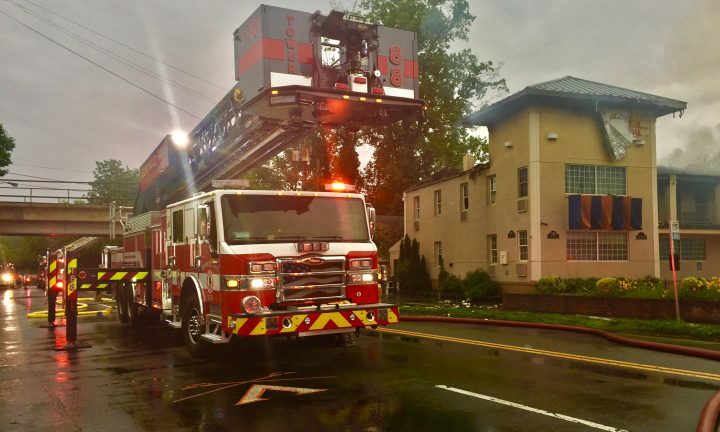 Upon arrival, Charlottesville Fire Department reported flames showing through the roof and declared a defensive strategy. Shortly later, a second alarm was struck adding additional units to the call. STVFD volunteers were prepared for the second alarm, responding to the scene in Engine 81. Minutes later, Tower 88 responded upon special request for an additional ladder truck. Firefighters worked extensively from the exterior of the hotel building until fire conditions allowed crews to move to interior operations that fully extinguished the fire. After hours of firefighting operations, additional units were added to the incident to provide fresh manpower on scene. Among the added units was Engine 82, staffed with STVFD volunteers ready to continue fire overhaul efforts. Fire units were dispatched to the hotel at 4:03pm, with flames quickly spreading from a single room to the roof of the structure. While extensive damage to the building makes the structure considered a complete loss, all guests and staff at the hotel were able to safely evacuate. Thanks to interagency cooperation between county, city, career, and volunteer staff alike, multiple calls across the Charlottesville-Albemarle area were covered while the numerous fire and rescue units were dedicated to the Emmett Street fire.